Digital Print Management offers a host of cheque printing and payment solutions. From A4 laser, cheque books both company and personal including your corporate logo and personalisation. Special cheques with a range of UV security features and aqua-fugitive panels, holograms can also be added. Cheques can be printed in any denomination and multi-currency options and all make up of books is offered including pressure seal mailer cheques, continuous binder cheques or A4 cut sheet. All options are personalised using MICR printers. On completion of the printing cheques are mailed out or distributed according to customer instructions. With access to a UK based payment bureau, you can create files for CHAPS and BACS payments. By making regular or one off payments using the Bureau service for BACS, Direct Debits, Payment advices/Remittances can provide a contingency by protecting payments and collections in the event of your system failing, ensuring that important payments and collections are made on time. The use of a Bureau takes care of cheque and electronic transactions from a secure payments file. Our system allows you to automate payments without having to purchase or administer any software. Cheque and electronic payments can be combined from one secure payments file, the bureau takes care of data separation. 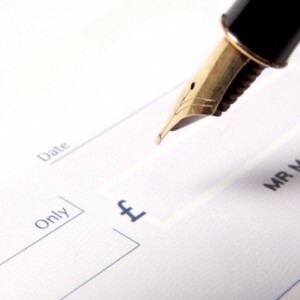 You also have the option of an in-house cheque system this is for companies who wish to infill their laser cheques. Integrated payment solutions allows the customer to make multiple payment types from a single platform by managing the transition from cheque to electronic payments. Pre-paid cards can be provided for salaries, expenses, commissions and rewards can all be loaded on such cards. All printing BACS, CHAPS and payments are processed in a fully compliant APACS registered ISO27001 environment to ensure full security and integrity of data and all transactions. There are over 300 articles on payroll processing, printing, print management, content marketing and personalisation. Join us for news and expert advice on anything and everything to do with outsourcing. A private list, no spam, no hot air only good useful expert advice.